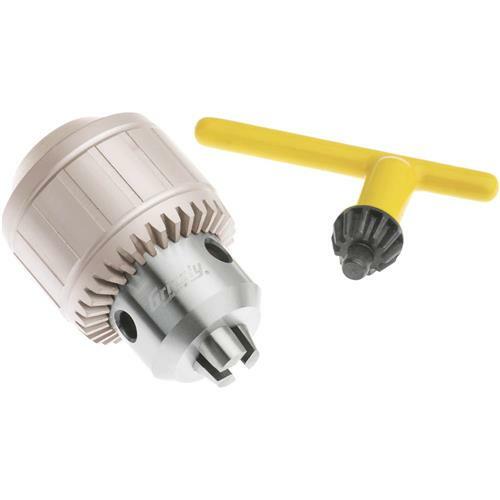 Unlike most keyed drill chucks, these are made to very tight tolerances on CNC equipment and are some of the finest drill chucks on the market today. They have very high gripping strength and are suitable for heavy-duty, high speed drilling. Each chuck includes a high visibility chuck key. I need to return this chuck it's to big for my drill press I reordered drill chuck JT33 to replace everything I order from grizzly is top quality I will continue to order from your company. I've used this drill chuck to drill center holes in round stock on my Grizzly 7 x 14 lathe. I've also used it to drill holes all the way through small parts. It works well and I highly recommend it.